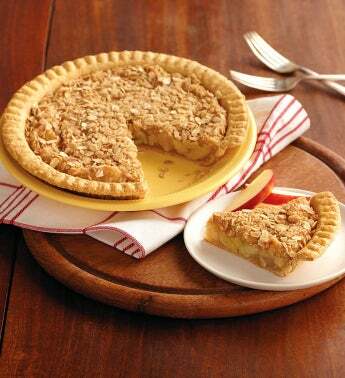 Serve this flavorful Gluten-Free Apple Pie at your next gathering and let everyone enjoy dessert. Bursting with fruity apples, brown sugar, and cinnamon, this gourmet pie is made from scratch in small batches to ensure quality and taste perfection. There's no compromising in flavor or texture in our gluten-free pies, all of which are handcrafted without preservatives or additives. For your convenience, this delectable gluten-free dessert is delivered frozen for you to thaw and serve at your leisure.